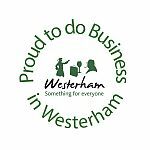 Wednesday 1st May – Saturday 4th May 8pm in Westerham Hall. 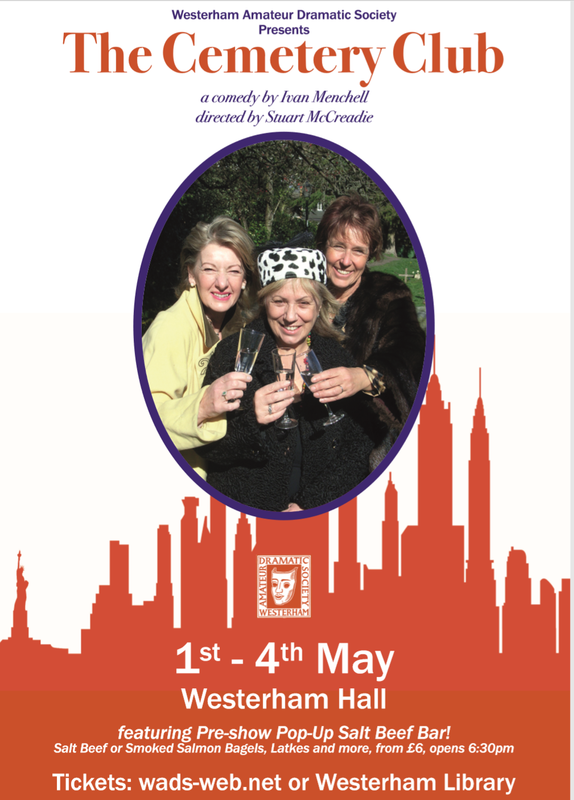 WADS presents ‘The Cemetery Club.’ Don’t let the title put you off. Three New York ladies, lifelong friends, whose husbands all passed on within a few years of each other, have different view on when to start dating again when Sam, a highly eligible widower appears on the scene. A life of canasta, gossip, attending funerals, weddings and, once a month, visiting their husbands’ graves becomes a little more interesting. But above all it really is very funny. For those who can remember, think Golden Girls, but with a view of the Brooklyn Bridge! Pre-show supper – to add that little touch of New York, but more to avoid bolting food down before rushing out to the theatre, WADS present the very reasonably priced (from £6) Pop-Up Salt Beef Bar. Operated by our friends at The Courtyard here in Westerham, the Salt Beef Bar will serve Salt Beef or Smoked Salmon Bagels, Latkes and other delicacies from across the pond as a filling pre-show supper for those who either do not have the time or do not have the inclination to cook! The Salt Beef Bar and main Bar will be open from 6:30pm. Food service will stop at 7:45pm.